I’m just going to make a list. Imaginative arrangements, sonically creative production, intelligent songwriting, tight, propulsive playing, and a powerful, expressive, cleverly phrased vocal delivery. 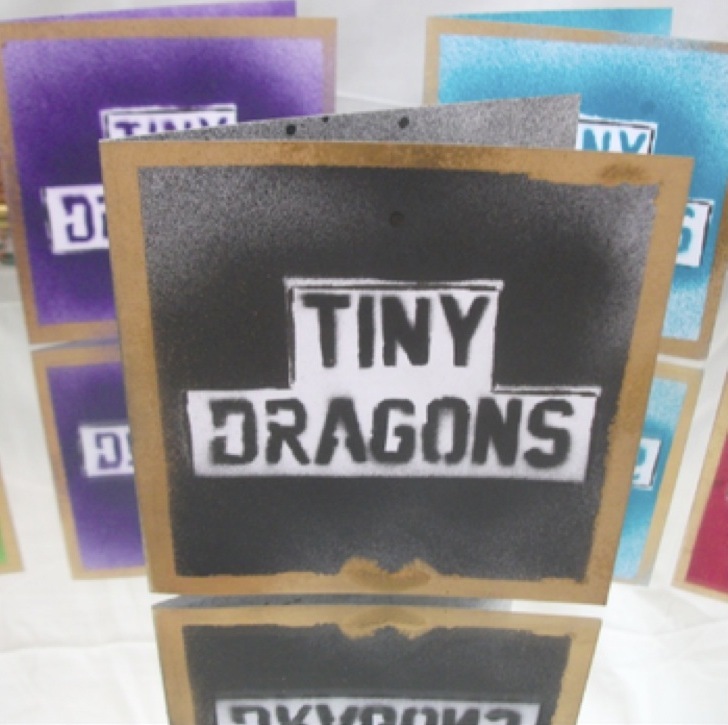 Rocking out and bringing the funk in equal measure, Tiny Dragons use a vocabulary that is very long established (an equivalent would be Jimi Hendrix borrowing the phraseology of early Duke Ellington), but they imbue it with a fresh-faced exuberance. They make these stylistic devices sound new, possibly because they are pretty new to them. You Need To Relax is full of ‘nice touches’: the selectively applied vocal distortion in ‘1644’; the spacey, textural, delay guitar break in ‘Anthem For The Dark And Handsome’; the knowingly cheesy ascending whole step modulation in ‘Heavy Heart’; and since, with only four songs, the other one might feel left out if I don’t give it a mention, the very funky guitar riff in ‘The Moment’. Chunky syncopated riffs are delivered with a locked-in intensity that speaks of a well drilled, mutually aware rhythm section (that is, everyone, in a three piece band); continually varied guitar textures, that nevertheless retain a distinctive sound throughout, retain the interest of even the nerdily attentive listener (such as myself); and lyrics that are rarely obvious, but consistently nuanced and observant will please those who like their dance music to be about something. Because, let’s be clear: this is dance music. The lyrics could be about kittens and unicorns, and you’d still want to move to this music. The band display an admirable restraint and maturity, never stepping beyond the bounds of the kind of material that they can nail emphatically to the floor, and never giving into the temptation to throw in a lick or a fill too many: the result is that total clarity of rhythm that characterises all the best dance music. You will never be in any doubt where the beat is, but it is decorated with enough tricky syncopations to make your feet fall onto it like a hammer. Like another young Brighton band I recently reviewed, Fresh Like Dexie, this outfit doesn’t attempt to overturn the applecart stylistically: but neither are they bound to a set of conventions by conservatism or excessive reverence for tradition. They simply take the sounds they like and do what they want with them. For me the key strength of this band is its songwriting, along with Lizzie Massey’s charismatic singing: many bands will rest on a strong groove, and quite justifiably, but Tiny Dragons go one better, and what they deliver offers satisfaction on every level. They are one of the most accomplished young bands I’ve encountered recently, and I hope we hear a lot more from them.